We will solve all of your technical problems here. How to merge more EMF files into one multipage PDF file? gives me only the first emf as pdf. your command line help is not complete enough. how to combined all emf into 1 pdf. "-append 2" option will merge more EMF files into one PDF file. This format is applied in universal vector graphics in Windows applications. It’s used to store collections of graphical drawings. It stores data in the RGB range, not supporting the CMYK system. It can be used as the graphics language for a printer driver. It has a 16-bit structure. The component PDF to EMF Converter allows for converting every page of a PDF file to an EMF file. Being the native graphic format of Windows, EMF (Enhanced Metafile Format) plays a key role in applications such as the embedding of scalable vector graphics in documents, report generators, client-server solutions for PDF viewers and much more. A special feature of the component is its handling with embedded fonts. One has the option to extract embedded fonts and use them together with the EMF page or create an EMF page on its own and use matching pre-installed fonts. 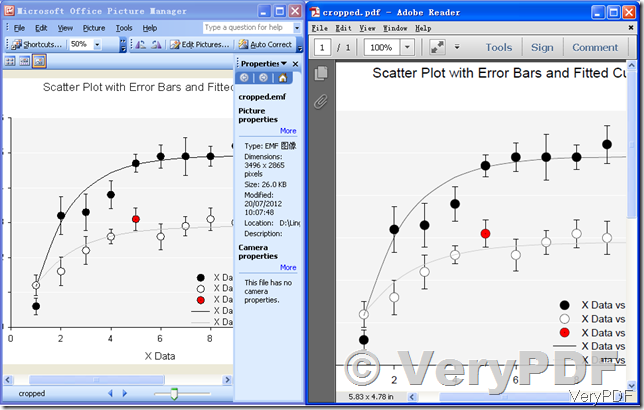 Do you have software that converts PPT to html? Also, do you have software that converts PDF to html? Someone has mocked up a website using PowerPoint, and I have to convert it to HTML / CSS. This is not a request to simply embed PowerPoint into the webpages. This will not be a static HTML site. PHP will generate HTML, and there are a bunch of forms for the user to submit information. Is there a conversion tool, or a series of conversion hoops that I can jump through? I'd much rather have the styles in CSS than inline in the HTML. >>Do you have software that converts PPT to html? Yes, we have, you can use VeryDOC DOC to Any Converter Command Line to convert from PPT files to HTML files. >>Also, do you have software that converts PDF to html? We are looking for pdf password protected solution for SAP where SAP can send email with the password protected. Let me know how you can help with your solution. 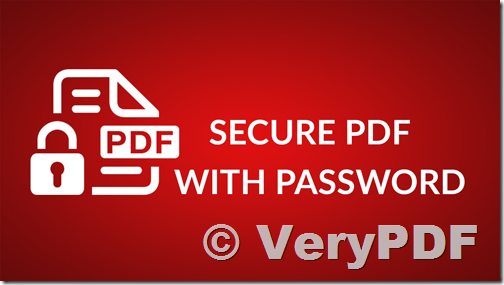 You can use these products to set password and permission settings to your PDF files. If you encounter any problems with these products, please feel free to let us know, we are glad to assist you asap. SAP is a German multinational software company known for making enterprise resource planning (ERP) software. ERP software allows organizations to manage business operations, and usually refers to suite of modular applications that collect and integrate data from different aspects of the business. While it is the sole focus of this article, SAP is just one provider of ERP software. Others include: Oracle, Microsoft, Infor Orbis, and Epicor. Below is a general overview of SAP's modules for enterprise management, implementation methods, and where it stands amongst its competitors. The product of five ex-IBM employees, SAP started in 1972 as a small software company in Germany with just one customer. The company's name stands for Systems, Applications & Products. Its founders had a vision of producing software that could process data when a user wanted it, rather than in overnight batches as earlier software did. Their first product was a modification of IBM's punch-card data storage, which stored data mechanically and required overnight processing. For their client, the German branch of Imperial Chemical Industries, SAP developed a real-time payroll and punch-card system in 1972. SAP's ERP started as R/2, named for its real-time architecture and two servers. In later years it was called R/3, for three servers: the application server, production server, and database server. In 2006, SAP released the latest version, ECC 6.0, and in 2013 an Enhancement Package (EHP7) was released. Font problem with replacing the text in PDF file. How to find and replace text in an existing PDF file with pdftr.exe software? I am testing your tool with our pdf. The tool finds the text but the output is wrong. Is there a way how i can send you a sample and you can tell me where the problem is. Find and Replace all in a PDF File. Is there a way to Find and Replace a particular Text / Phrase in an unprotected PDF Document while keeping everything else intact and save the file in PDF? Also is it possible to perform Wild Card Character like search in any such document? I have a 33 page pdf which has 2500 instances of the word "XYZ". I want to replace all XYZ with ABC. How can I do that? You can change the font name, text color and background color by yourself in above command line. for %F in (D:\temp\*.pdf) do pdftr.exe -contentreplace "My Name=>Your Name" "%F" "out_%~nF.pdf"
for %F in (D:\temp\*.pdf) do pdftr.exe -searchandoverlaytext "My Name=>Your Name" "%F" "C:\test\%~nF.pdf"
for /r D:\temp %F in (*.pdf) do pdftr.exe -oldtext "Old Text" -newtext "New Text" "%F" "C:\test\%~nF.pdf"
for /r Folder1 %F in (*.pdf) do pdftr.exe -nopdf -$ "XXXX-XXXX-XXXX-XXXX" -searchandoverlaytext "My Name=>Alan Grant||Mailed=>Nailed" -overlaytextfontsize 10 "%F" "Folder2\%~nF_Out_Unmerged.pdf"
VeryPDF PDF Text Replacer is a very simple, lightning-quick desktop utility program that lets you batch replace, change or delete multiples text in Acrobat PDF files automatically. How to add text to any of the pages in the PDF file? Can the PDF Editor Toolkit Pro SDK add text to an existing multipage PDF with the ability to add the text to any of the pages in the PDF? I have some documents with several pages of images in the PDF and I would like to print various text on each page. >>Can the Pro SDK add text to an existing multipage PDF with the ability to add the text to any of the pages in the PDF? >>I have some documents with several pages of images in the PDF and I would like to print various text on each page. If you encounter any problem with PDF Editor Toolkit Pro SDK product, please feel free to let us know, we will assist you asap. I have downloaded the toolkit and used the VeryAddText() function to add text to a PDF that I had created via VeryCreate() and added a page via VerySetFunction(109). But I do not understand how to add text to an existing PDF and place text on page 3 for example. How to use permission value in PDF Compressor Command Line? -perms or -dPermissions parameter. How to merge more PDF print jobs into one print job? when I called htmltools ActiveX Component from VB6 source code, I got Error 429, ActiveX component can't create object, how to solve this problem? How to get correct page count from XPS and .SPL files? I'm looking for a PDF Editor SDK which has View, Edit, Draw, Highlight, Add text, Add pictures, add hyperlinks, add shapes, etc. functions, this will work on a server and supports both Website and iPad app. VeryPDF on How to highlight PDF by command line in batch? VeryPDF on How to automatically highlight keywords in the PDF text contents? Highlight, Underline, and Cross Out text in pdf documents. Convert keywords to clickable hyperlinks.